Why does my sprinkler leak water when the system is turned off? There are two reasons why a sprinkler will leak water when the system is supposed to be off. The most common reason is called “Low Head Drainage”. "Low Head Drainage" occurs when the lowest head on a zone allows water to drain from the lateral piping, out of the sprinkler. If it is low head drainage, residual water will stop flowing after all the water has left the pipe. 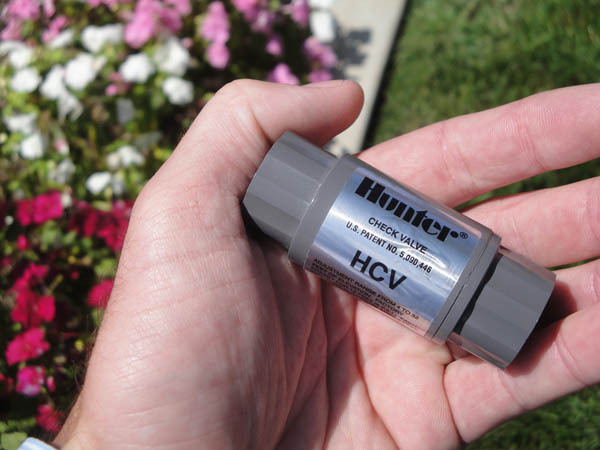 The solution is to install check valves, such as the HCV, on sprinklers and lateral lines. The other reason may be water leaking through the zone valve (a check valve in the sprinkler will not fix this leak). The most common reason why water leaks through a valve is because there is debris obstructing the valves diaphragm. 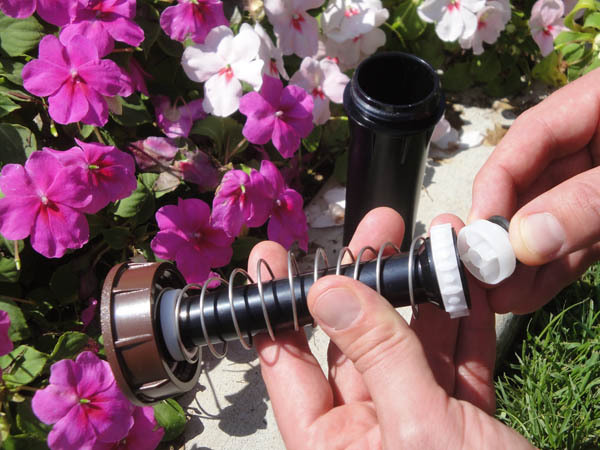 Hunter sprinklers are also able to have check valves added in the field after they are installed. 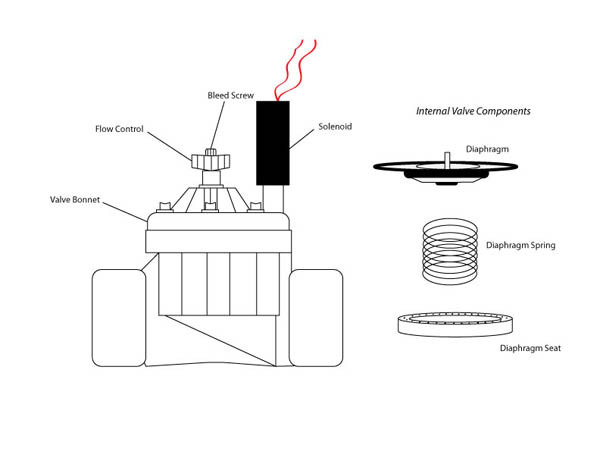 You may need to replace the diaphragm assembly if there is visible damage.